Did you lose money during a flash crash on Kraken? Have you had issues with your account at Kraken? Enjoy the video clip and contact Silver Miller if you have any questions about your holdings at Kraken. 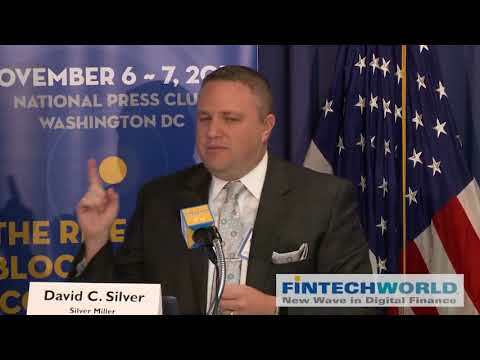 Hear David Silver, Founder of Silver Miller, debunk the universal myth that currently exists for people who are first experiencing cryptocurrencies: that all U.S.-based crypto exchanges are the same. This myth is the single biggest threat to any investor money in this space. KNOW. YOUR. EXCHANGE. There is a difference between Bittrex, Poloniex, Coinbase, Kraken, Gemini and several other lesser-known exchanges. They are not the same. The prices of your crypto on the exchanges are different, the rules and regulations they follow are different, the security is different, and the quality of leadership is different. Listen as David Silver of Silver Miller explains that in the Tezos Initial Coin Offering (ICO), not only did Tezos' founders and early financiers get paid from the money raised from investors, even the Tezos insiders believed that the product being sold is an investment security. Initial Coin Offering (ICO) Promoters Want to Get In and Get Out! According to David Silver, Founder of Silver Miller, Initial Coin Offering (ICO) promoters have the following primary goals: Raise lots of cryptocurrency from investors, liquidate those assets into cash, and get out with the money before they get sued. Click on the video clip below to hear more. No Recovery? No Fee! That’s our guarantee. Watch David Silver talk about what makes Silver Miller special. If Silver Miller can’t recover part of your lost investment, you don’t pay us any legal fees. Simple as that. Which Cryptocurrency Exchange Is the Safest? Listen to David Silver of Silver Miller explain how a cryptocurrency "flash crash" happened at the Kraken exchange, why it was wrong, and how it harmed numerous Kraken accountholders. Click below to hear David Silver of Silver Miller explain the allegations of $8.2 million of money laundering asserted against the Coinbase cryptocurrency exchange. David Silver of Silver Miller explains how Cryptsy -- a small "Mom and Pop" cryptocurrency exchange in Delray Beach Florida -- ran a multi-million-dollar Ponzi scheme. Trendon Shavers -- Genius? Ponzi Schemer? Both?? Listen to David Silver, Founder of Silver Miller, argue that Trendon Shavers was both a genius and a Ponzi schemer who ran the first Ponzi scheme using bitcoin. Hear David Silver of Silver Miller explain that while you cannot stop innovation, the days of "anonymous and autonomous" cryptocurrency use are over as governments around the world focus on tracking assets of their citizens.